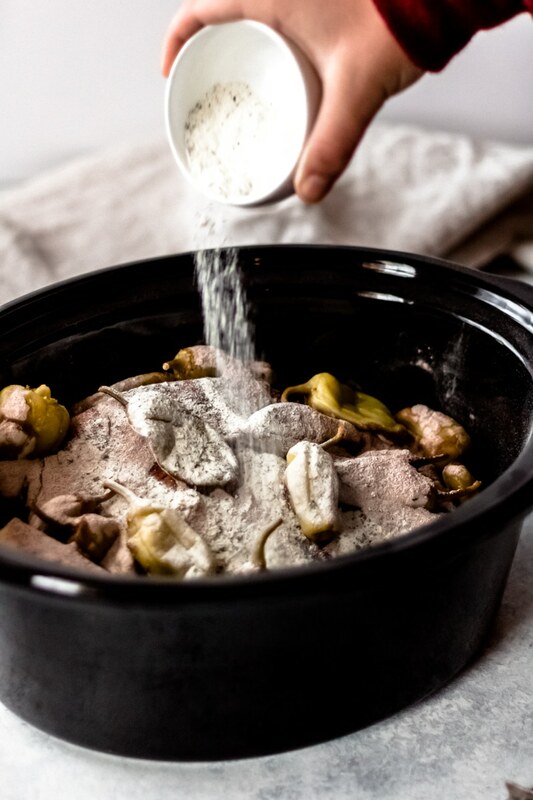 Why make the same old boring pot roast when you can make this easy Mississippi Pot Roast that’s also gluten-free? Just 5 ingredients and a slow cooker are all you need! The ranch dressing, pepperoncini peppers, and au jus gravy add so much flavor, you may never go back to traditional pot roast again! Certified Angus Beef® brand reimbursed me the cost of the roast to facilitate this recipe. As always, all opinions are my own. 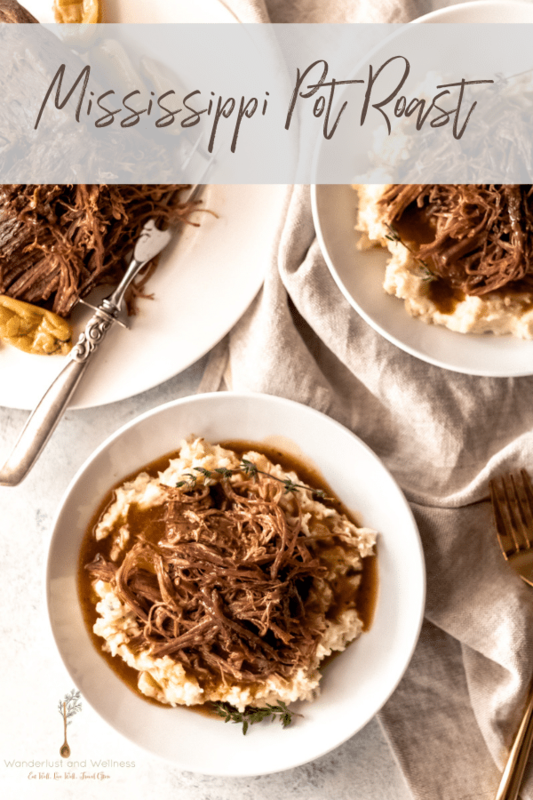 You may have seen Mississippi Pot Roast recipes floating around Pinterest over the past few years, and if you’re like me, you may have disregarded it as just another pot roast. Boy, have I been missing out! I decided to give this variation a try, and I’m not sure I can ever go back to traditional pot roast. To quote my family, “This is the best roast we’ve ever had!” Yes, it’s that good. So what exactly is Mississippi Pot Roast? 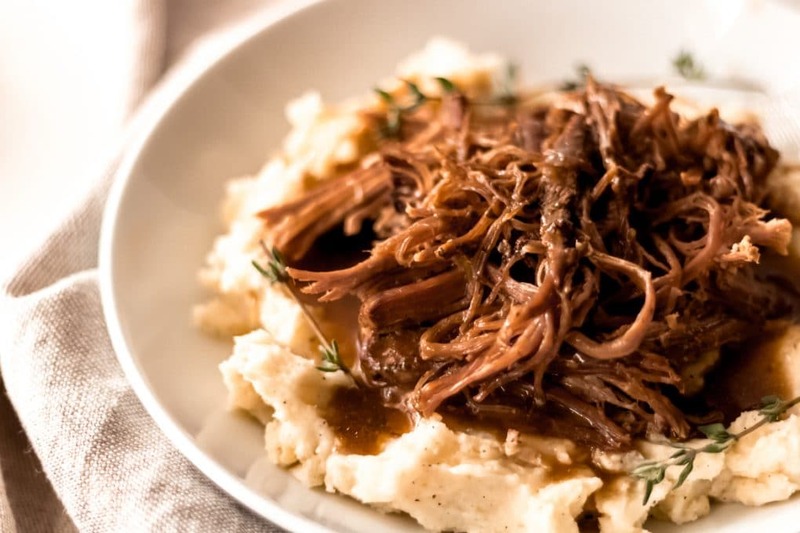 Originating from a woman named Robin Chapman, this pot roast variation includes additional flavors from ingredients such as a packet of dry ranch dressing, a packet of dry au jus, a stick of butter, and a jar of pepperoncini peppers. She adapted this variation from her aunt and as the years have passed it’s taken on a life of its own. 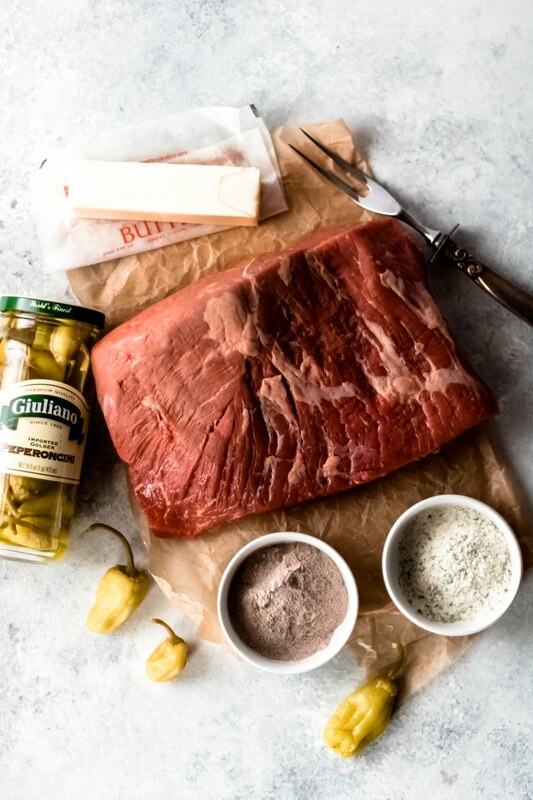 What cut of meat can you use to make Mississippi Pot Roast? You’ll need a braising beef such as chuck roast or rump roast. Chuck roast tends to be one of the more common cuts of meat and also one of the more affordable cuts of meat for a pot roast. For maximum flavor and tenderness be sure to use Certified Angus Beef® brand beef. Check the store locator the to find a retailer near you. The glorious part of cooking a Mississippi Pot Roast is that it’s a true slow cooker “dump and forget” recipe. For your Mississippi Pot Roast, you’ll need just a handful of ingredients plus your slow cooker. Add all of the ingredients to your slow cooker and cook on low for eight to ten hours. Once the Mississippi Pot Roast is finished cooking, simply shred the roast and serve. My recipe for Mississippi Pot Roast was first published on Sunday Supper Movement where I am a contributor. 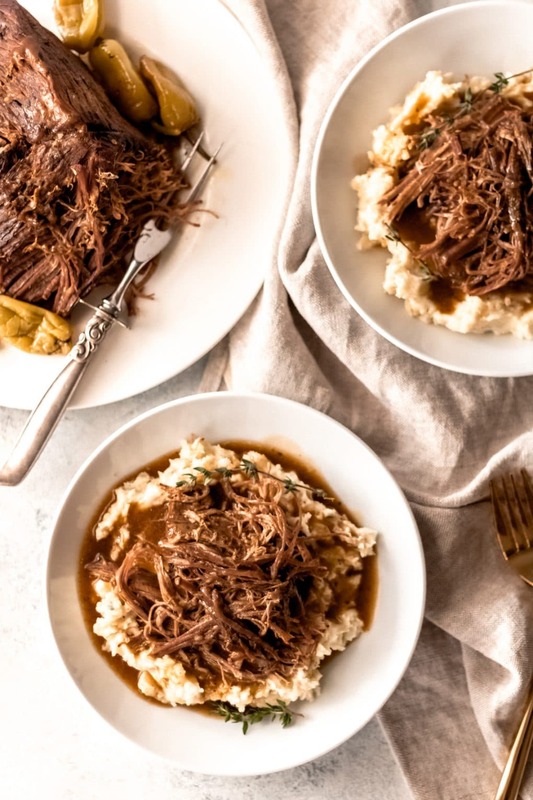 This Mississippi Pot Roast is so full of flavor which means it’s the star of the show, however, you can serve it over mashed parmesan potatoes or egg noodles. Use the drippings from the slow cooker as your gravy. To thicken up the drippings, simply whisk together two tablespoons of cornstarch or gluten-free flour to 1/4 cup of water and then add the thickening mixture to the drippings, stirring to combine. Don’t forget to serve with vegetables such as Sautéed Green Beans & Mushrooms. Try these other roasted dinner recipes.